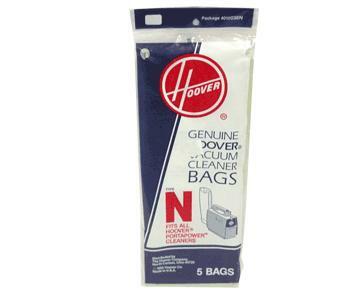 If you own a Hoover PortaPower or Swingette Vacuum, purchase the Hoover Type N vacuum bags to continue cleaning without a hitch. 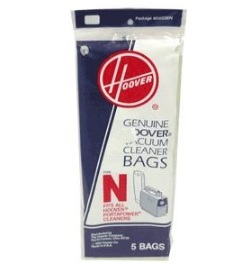 Make your Hoover canister vacuum run like new again with a simple bag replacement. You receive five bags to a package of Hoover Style N vacuum bags; however, you are encouraged to purchase as many packages as you like and or need to clean your home without worrying about running out. eVacuumStore.com carries Hoover N bags and ships to your door so you never need go long without a bag to help keep your home looking clean day after day.